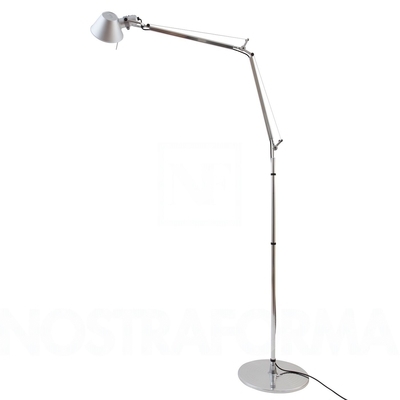 An extension to the iconic Tolomeo family, Tolomeo floor combines the body of the Tolomeo table lamp with a floor standing support, allowing for a floor lighting solution that provides flexibility and style. Floor support consisting of weighted steel base with stamped aluminum cover and stem in chromed steel combined with Tolomeo LED table for conversion to floor version. Optional set of castors in molded thermoplastic attach to base for easy mobility (Classic and mini versions only).